CLINTON, Henry (1771-1829), of York Street, Portman Square, Mdx. b. 9 Mar. 1771, 2nd surv. s. of Sir Henry Clinton* by Harriet, da. and coh. of Thomas Carter; bro. of William Henry Clinton*. educ. Eton 1782-5. m. 23 Dec. 1799, Susan, da. of Francis Charteris, 7th Lord Elcho [S] s.p. KB 29 June 1813; GCB 2 Jan. 1815; GCH 1816. Ensign 11 Ft. 1787; lt. Brunswick corps 1788, 1 Ft. Gds. 1789; capt. 15 Ft. 1791, 1 Ft. Gds. 1792; a.d.c. to Duke of York 1793-5, brevet maj. 1794; lt.-col. 66 Ft. (W.I.) 1795, 1 Ft. Gds. 1796; a.d.c. to Cornwallis 1798; asst. adj.-gen. Eastern district 1801; adj.-gen. India 1802-5, brevet col. 1803; commdt. at Syracuse 1806-7; brig.-gen. Sweden 1808; adj.-gen. Portugal 1808, Ireland 1809; maj.-gen. 1810, lt.-gen. Peninsula 1813; col. commdt. 6 batt. 60 Ft. 1813; lt.-gen. and inspector-gen. of infantry 1814; commanding 3rd div. Waterloo; col. 3 Ft. 1815-d. In 1807 Clinton was his father-in-law’s unsuccessful candidate for Haddington Burghs (Elcho had been planning this for two years).2 Early in 1808 he joined his brother as the 4th Duke of Newcastle’s Member for Boroughbridge. As he proceeded to Sweden and Portugal with Sir John Moore, whose apologist he was after Corunna, he cannot have been a good attender in Parliament. In 1809 and 1810 he served in Ireland. He supported administration and was present in the session of 1810, voting with ministers on the address, the Scheldt inquiry, the discharge of Gale Jones, Apr., and against parliamentary reform, 21 May. The Whigs regarded him as doubtful from their viewpoint. He also voted with ministers on the Regency, 1 Jan. 1811. He joined Wellington in the Peninsula in October 1811. 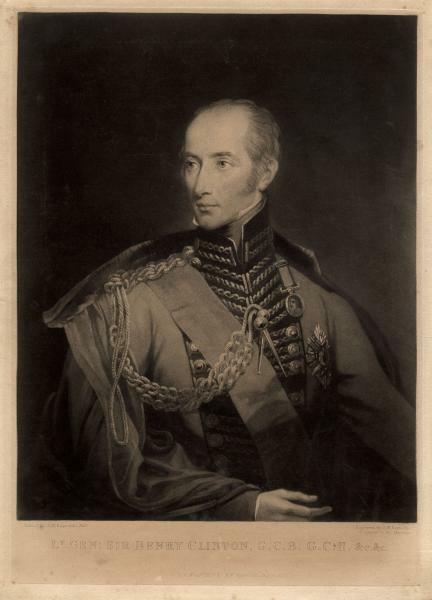 He was conspicuous in the Salamanca campaign and on 3 Dec. 1812, in his first known speech, acknowledged the thanks of the House for his services. In that Parliament he was listed a Treasury supporter. He obtained a red ribbon for his services at Vittoria. After sick leave, he returned to distinguish himself at Orthes and Toulouse and acknowledged the House’s thanks on 24 June 1814. 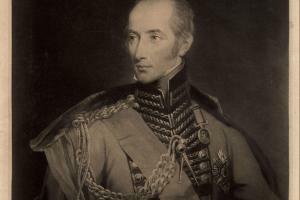 After service at Waterloo, loaded with honours by the allies, he did likewise, 20 May 1816. Only one vote of his is known in that Parliament, against Catholic relief, 21 May 1816. In the spring of 1817 he was ‘very ill’ at Lyons.3 He did not seek re-election in 1818. He died at his country retreat, Ashley in Hampshire, 11 Dec. 1829. 1. DNB; HMC Fortescue, vi. 151, 271, 296; Geo. III Corresp. iii. 2454. 2. NLS mss 1053, f. 114. 3. Glenbervie Diaries, ii. 220-1.